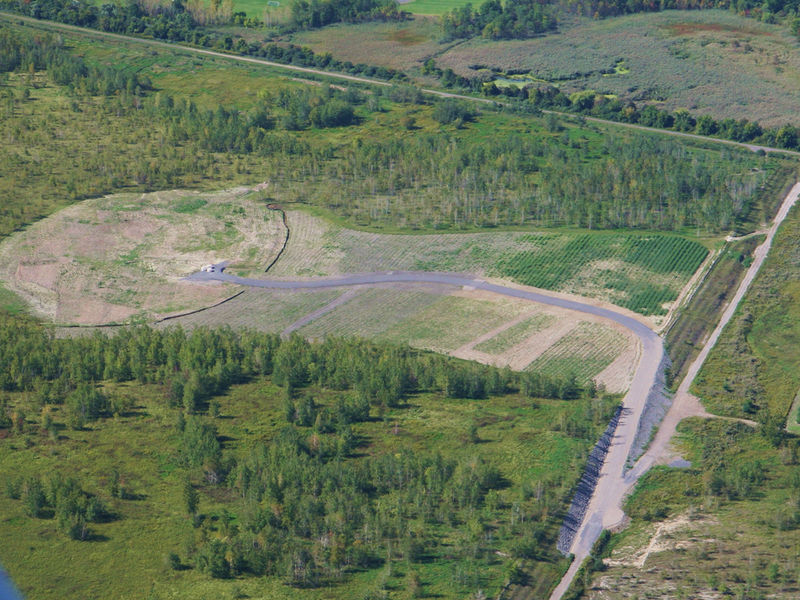 NRC performed soil amendment and bio remediation tasks on this 10-acre site in an effort to cap an existing waste bed. 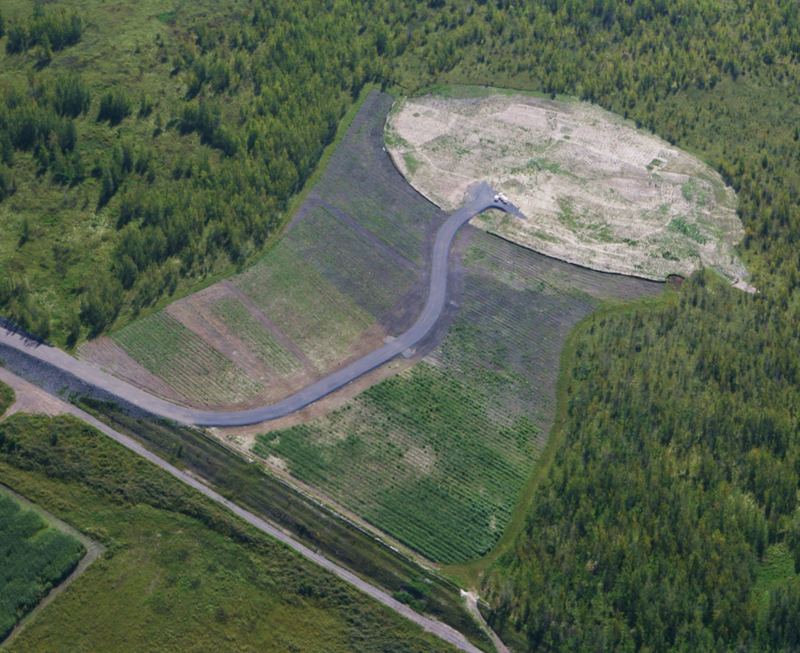 The site consists of six settling basins covering ten acres. NRC’s first task included surveying and delineation of the work area. Approximately 11 acres were cleared and grubbed in unstable conditions. The resulting vegetative material was utilized for solidification onsite. NRC then built a 10,000 square foot staging area on which 4,500 cubic yards of vegetative waste and 2,700 cubic yards of biosolid material were mixed at a 25:1 ratio. The material was loaded into 25 cubic yard dump trucks and delivered to the waste beds where it was spread via bulldozer to an approximate depth of 4”. In order to homogeneously mix the material, NRC used a specialized hydraulic mixing head mounted on an excavator and mixed the amendment material into the waste bed to a depth of 1.5’. 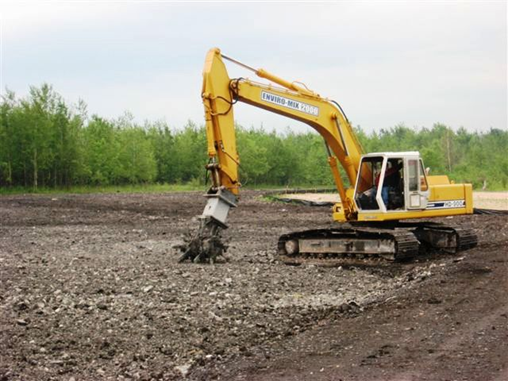 In total, over 24,200 cubic yards of surface soils were stabilized over the 10-acre waste bed. Once the stabilization was complete, crews placed 4” of topsoil over the site. Finally, over 5000 shrub willow trees were planted on the amended waste bed to effectively form an evapotranspiration cap and reduce contaminated overland flow. Surveying, clearing, and grubbing of 11 acres of waste bed site. Staging area installation for 4,500 CY of waste and 2,700 tons of bio-solid material. Mixed material onsite at a 2.5:1 ratio and delivered to the amended plots. Mixing of over 24,000 CY utilizing a hydraulic mixing head on an excavator to a consistent depth of 1.5’. Site restoration including 600+ CY of topsoil placed in affected areas and planting of over 5,000 shrub willow trees.